Join in a monthly two hour practice of Restorative Yoga. The event will focus on relaxation and stress reduction through supine, supported poses that allow the body to open and stretch through gravity and the use of props. No previous yoga experience is necessary. Cynthia Muskin is passionate about yoga, particularly in regard to making yoga accessible to people of all ages and abilities. Cynthia has been teaching Restorative Yoga since 2005 when she received her Relax and Renew Certificate from Judith Lasater. She has been practicing yoga since 1989. Cynthia is inspired by the teachings of BKS Iyengar and spent a month in India in 2012 studying with the Iyengar family. She works for Yoga Journal magazine as a Conference Staff Assistant where she has the opportunity to study with nationally known teachers. 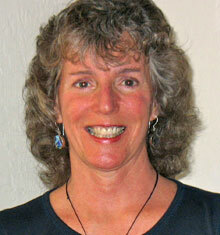 As a former social worker and masseuse, Cynthia is particularly attracted to the therapeutic aspects of the practice. Her practice and teaching style is based on attention to form and alignment with focus on internal awareness.